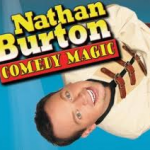 Enjoy Celebrity Radio’s Magician Nathan Burton Interview Las Vegas…. 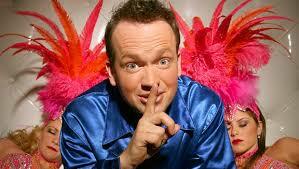 Alex Belfield reckons Nathan Burton has ‘The Best Daytime Show Las Vegas’ in 2013. 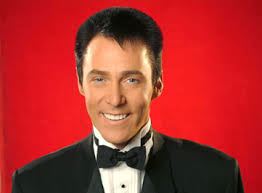 Nathan Burton performs daily @ 4pm at Planet Hollywood Las Vegas in the Miracle Mile @ the Saxe Theatre. 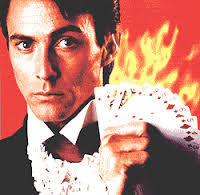 Burton shot to fame on America’s Got Talent proving magic can be exciting, new, creative and relevant in 2013. He still regularly appears on the show. His speed, delivery and stage presence makes this a joy to watch. Nathan has incredible warmth and charm on stage. It was rare and wonderful to see 4 year old children sat next to 80 year old grand parents all seemingly mesmerized by his comedy magic. What I love the most about Nathan is that he loves to celebrate other Vegas talent and gives them an opportunity to perform in the show daily. His choice of ‘spec’ acts was phenomenal. The perfect mix of close-up magic, animal acts and comedy ventriloquism. This show not only features Burton but an array of incredibly talented and unique acts. Armando Vera was one of the stand out acts that clearly has dedicated his entire life to the craft of close-up magic. A unique and brilliant talent! You can see Armando for 45 minutes before Nathan’s show starts at 3pm at the Saxe Theatre with a small group of people…be quick though, first come first served! Nathan also features Clint Carvalho who Starred on America’s Got Talent with his incredible birds. What he makes those parrots do is astounding. One of the most fun, original and brilliant acts I’ve ever seen. They clearly love him as much as the audience love the act! Amazing energy. 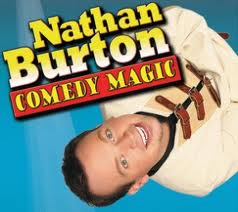 Overall if you want some fun in the afternoon you cannot fail to be impressed by Nathan Burton and his show. It’s fast paced, high energy, fun, family friendly pure entertainment! 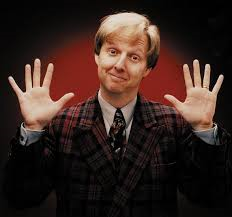 Finally I have to mention Russ Merlin who in my view is one of the worlds greatest comedy ventriloquist. He’s created a unique act that is so much fun. The audience just loved it! You can also catch Russ at the V Show in Planet Hollywood. This is without question the best daytime show in Las Vegas! You’ll love it!